At Megableu you can find the perfect birthday gift for every child. Just browse through our wide selection of fun games! We are sure you will find games for children that are exciting, fun, and adventurous. 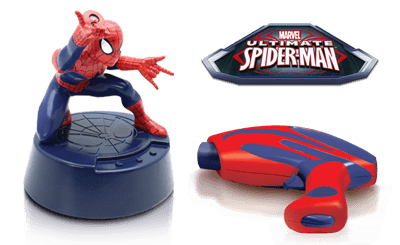 Ghost Hunt Evolution, Ultimate Spider-Man, and Break Out are great gift choices for kids. 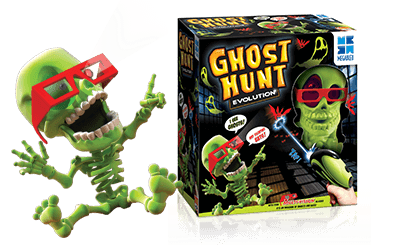 Children are going crazy over Ghost Hunt Evolution! Compete with your friends in a wild ghost chase. Billy Bones gets horrified every time he spots ghost activity. Flying ghosts and bats appear! Put on your MULTI-VISION glasses and get your gun. Who will score the most points by hitting them? 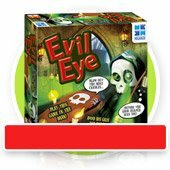 This exciting game for 1 or more players will make the best birthday gift ever! Suitable for children over 5 years old. If your children loved Ghost Hunt Evolution and are fans of superheroes, then you should definitely go for Ultimate Spider-Man. Having the same gameplay as Ghost Hunt, Spider-Man projects the evil Rhino. Turn off the lights and let the kids become the superhero by eliminating as many Rhinos as they can to win the game. Get your laser guns and go! This fun game is all about blasting Rhinos on the ceiling, walls, here, there, everywhere! 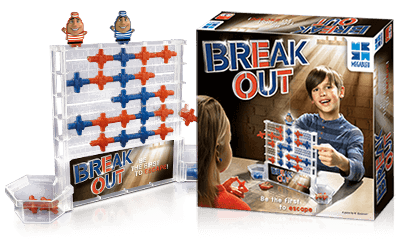 Help your prisoner break out! Each player chooses a colour. Then, they put their prisoner figurine up on the wall. Taking turns, they chose one of the 5 slits, either on the right or left, to put their ropes. Make a continuous line to your prisoner to help him escape and win! Who will choose the best strategy? Who will break out first? An amazing birthday gift idea for children older than 6 years. Whether it is a birthday girl or a birthday boy, Megableu is always the place where fun begins !